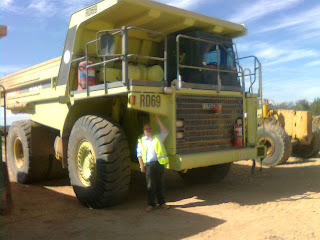 Just completed the haul truck course, so, with my induction and medical over, I can look for a job in the mines. 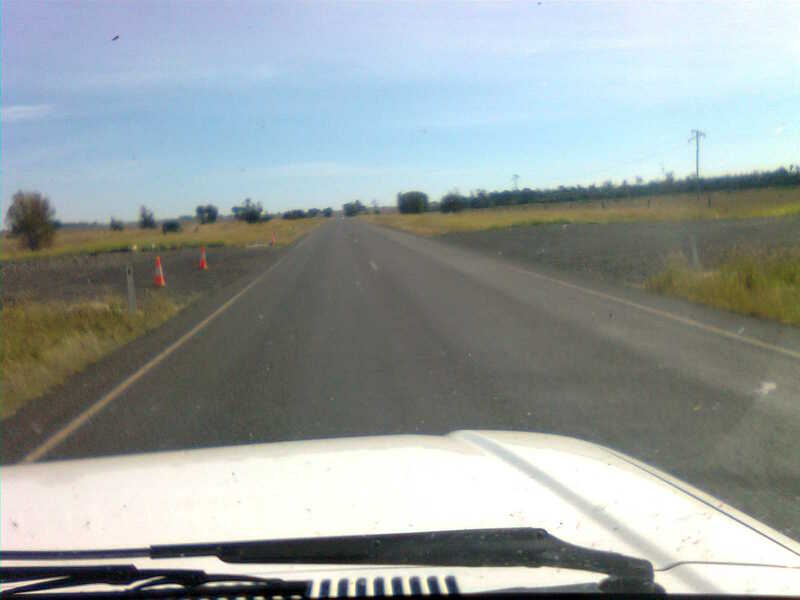 Course was in Sapphire, North Queensland, 830kms north of home. Did the return in under 9 hours, stopping only for fuel and a quick piss in the bushes. 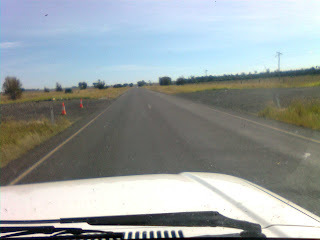 Long, straight roads, some with tarmac but 120k's was on dirt. Course was fun, different machines to play with, different sizes, not all that difficult to drive once you got the measure of the width. Auto-boxes make things easy but then, oil-coiled brake systems are new with a retarder for long downhill runs that apply partial brake effort to hold speed. Anyway, here's my favourite truck. Can you guess why?